INDUSTRY.co.id - Jakarta, PT Arwana Citra Mulia Tbk, is preparing to expand or add new production lines at its fourth plant located in Ogan Ilir with an additional 6 million square meters per year. "With the completion of the expansion at the fourth factory of Ogan Ilir next year, the total capacity of Arwana will increase to 63.3 million square meters per year," said Chief Operating Officer of PT Arwana Citra Mulia Tbk, Edy Suyanto when found Industry.co.id in Jakarta, some time ago. He added that the plan to add one new production at the fourth factory of Ogan Ilir with capex of Rp150 billion with internal fund of company and from bank loan. "It is expected that with the addition of this new production line can meet our sales target which reached Rp1, 9 trillion," he said. 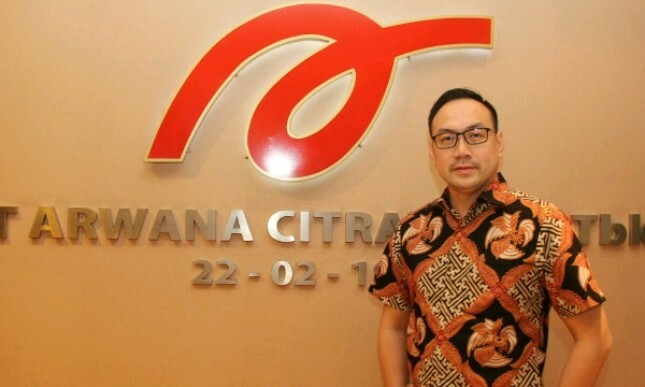 As is known, currently PT Arwana Citra Mulia has five factories, with total production capacity reaching 57.3 million square meters per year with utility rate reaching 95 percent. According to him, the overall ceramic industry is still growing despite the slowly in the middle of the domestic property sector is also not yet moving. "Nevertheless the opportunity for the ceramic industry does not mean it does not exist, but it all depends on innovation and carefulness to see the market gap," added Edy.